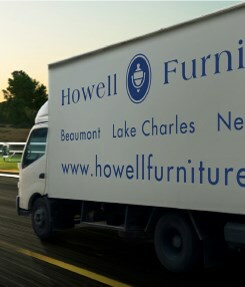 Use our order tracker to check the status and location of your purchase from Howell Furniture. Please bring an appropriate vehicle for your furniture pickup. We will not be responsible for unsafe loads. Have your invoice number ready. Call the location you purchased from on the day of pick up at least one hour in advance. If you do not call ahead, you may experience a wait.